Employers know that hiring individuals who are a good fit is important to the company’s ultimate success, but not everyone recognizes that hiring is just the beginning. In the healthcare industry in particular, where burnout rates have been increasing at alarming rates, monitoring employee sentiment and getting feedback to improve their engagement is crucial. Engaged employees feel internal motivation to go above and beyond the call of duty for patients. For example, an engaged food service worker in a hospital will feel motivated to make sure food is delivered hot. When employees feel more connected to their jobs, they will go the extra mile to provide great quality care and research backs that up. 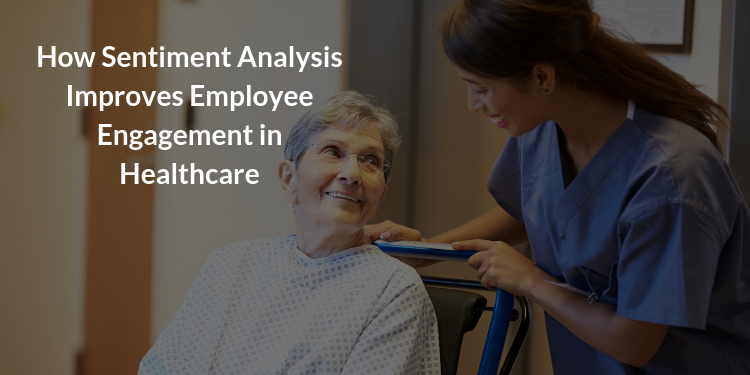 Employee engagement is a challenge no matter what size an organization is, but it is especially difficult and important when you’re a large healthcare company. 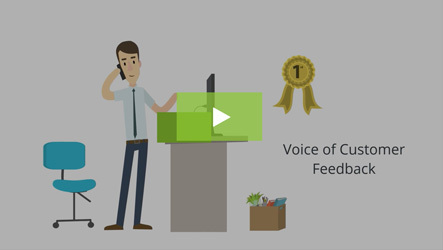 With most large enterprise organizations, human resources has systems for gathering and monitoring employee feedback channels. But you miss out on an opportunity to improve their employee happiness and engagement if you sit on all the open-ended feedback you receive from employee surveys. 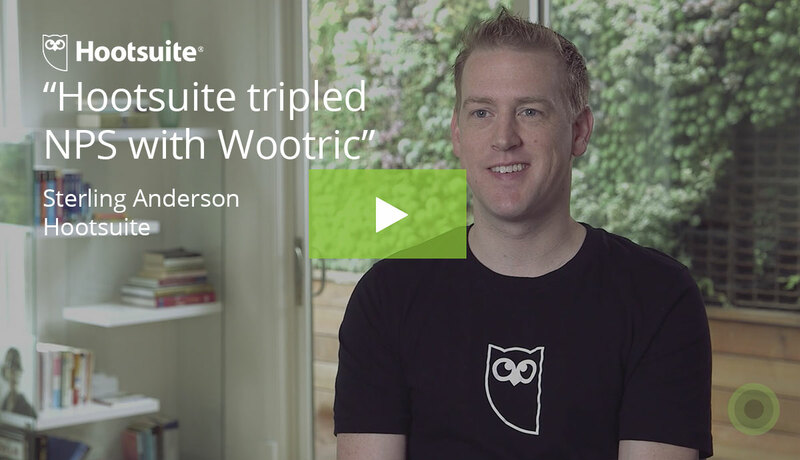 A Fortune 100 healthcare company approached Wootric for help making their voice of employee survey program actionable. This company’s employees already respond to engagement surveys on a regular basis. 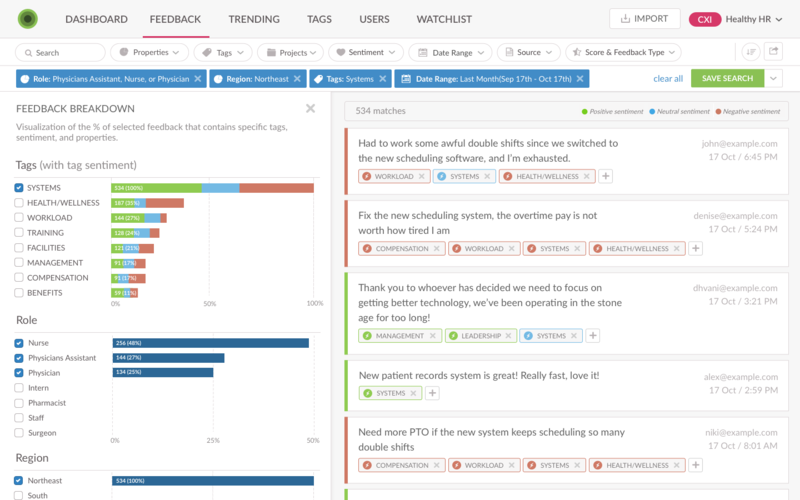 This provides a score to track over time and rich open-ended feedback, ripe for analysis. 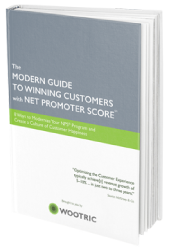 But with thousands of feedback comments waiting to be analyzed, understanding the “why” behind their employee engagement scores was difficult. In addition to that feedback, the company was seeing relevant feedback on review websites like Glassdoor and Indeed. They were interested in this data because it offered a perspective that might not be shared on their internal pulse surveys. This is a lot of feedback to process. The healthcare company now receives themes and uncovered valuable insight in their Wootric dashboard. Each comment is tagging with relevant themes and each tag is assigned a sentiment (positive, negative, neutral). In this fictional example dashboard, the human resources team can dig into the bucket of comments associated with “systems”, which covers new technology and hardware. The algorithms do all the tedious, normally time-consuming, work of reading qualitative feedback and organizing each comment into different buckets with tags. Our data scientists and customer success team then conduct a review of the newly structured data to ensure our client received quality, actionable insights out of the gate. For example, sentiment analysis can help you understand the impact of a roll-out of a new software system or benefit plan. When you have the data, you can move beyond anecdotes and hunches and measure the overall impact. Nurses and surgeons both care for patients, but their responsibilities and goals will be very different from a pharmacist or receptionist. Different roles all have different concerns and enabling employees is much easier when you know who needs what. Segmenting your data by roles helps human resources teams to identify role-specific problems and address different concerns. You may be hearing feedback from people all the time about how you can improve processes, the working environment, etc, but until you’ve quantified all of that feedback, it’s just anecdotal. Human resources teams are able to prioritize projects to most effectively improve employee satisfaction. There are impactful, strategic wins that you can make hidden in the comments you receive. Be sure not to miss them! One benefit of analyzing online reviews is that you’ll understand what influences your company’s reputation as an employer. You’ll know how you’re perceived as well as why you’re perceived that way. In addition, anonymity on these kinds of forums means that current employees may be more honest about something serious–including sexual harassment or discrimination. For our customer, it’s not enough to be on the cutting edge of technology when it comes to medical equipment and methodology. To provide quality care, they have made employee engagement a priority. 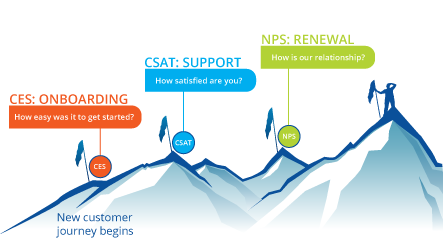 Taking a modern approach to employee feedback with text and sentiment analytics makes improving employee happiness less about sorting through a flood of data, and all about taking action. Unlock insight about employee engagement. 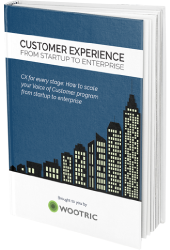 Book a Wootric CXInsight™ demo.